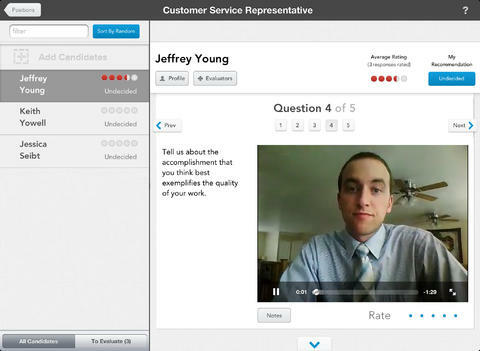 When digital recruiting platform HireVue got its start nine years ago, the company actually shipped webcams to job candidates, allowing them to interview for long-distance jobs online. Though today, video interviewing startups are far more common, this was still something of a novel idea at the time. Founder and CEO Mark Newman recalls those early days running his company as 20-year old just out of college, telling people they were going to take a job interview with a webcam. “People’s responses were, ‘what’s a webcam?’,” he says.